The Entrance Bridge is a stone bridge that once served as the main entrance to Stanley Park. 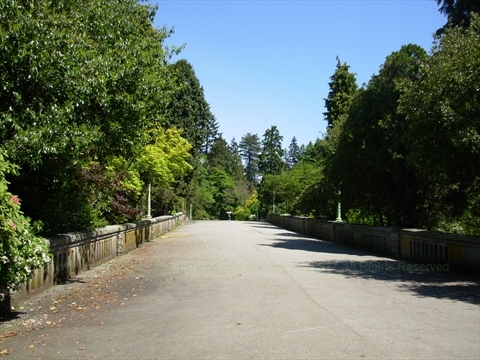 Where is the Entrance Bridge in Stanley Park? The Entrance Bridge is located between the end of Coal Harbour and the Stanley Park Causeway. At the end of the entrance bridge is the Lord Stanley Statue. Nearby is the Robert Burns Statue and the Queen Victoria Memorial.